Recording and book of the year listicles don't do it for me. But one of my book highlights of 2017 demands a heads up. 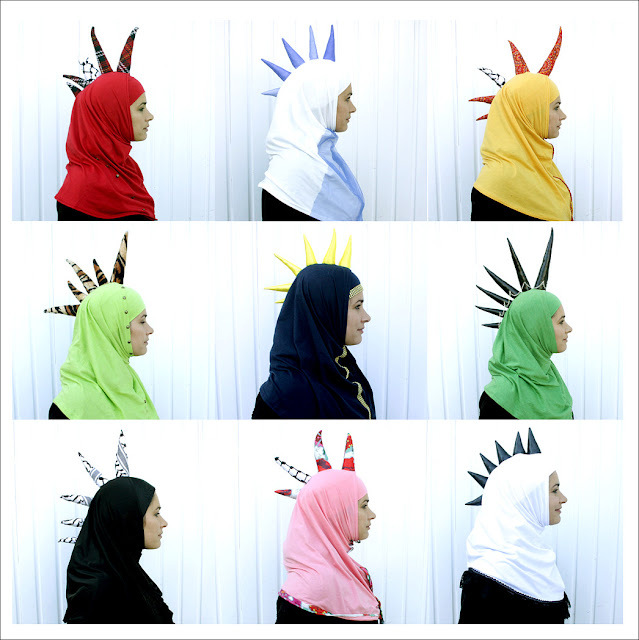 Don't Panic I'm Islamic was commissioned in response to the US travel ban on predominantly Muslim countries. Subtitled 'Words and pictures on how to stop worrying and learn to love the alien next door', it includes cartoons, graffiti, photography, colouring in pages, memoir, short stories and more by 34 contributors from around the world. 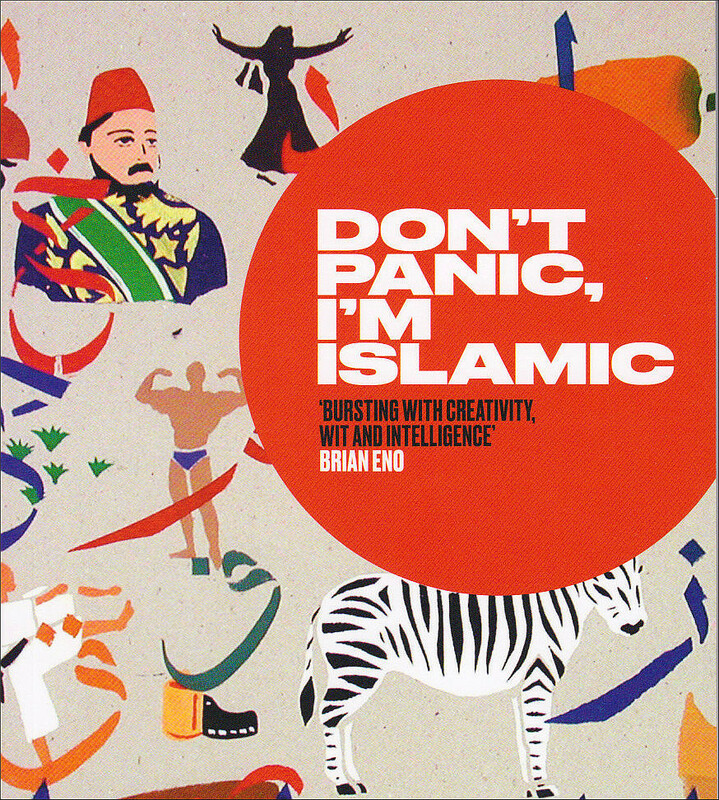 All too often this kind of book struggles to rise above juvenile humour, but this is most definitely not the case with Don't Panic I'm Islamic. Razor sharp humour is combined with cutting edge graphics and commendable design flair. Two of the graphics are reproduced here. Muslim Panik above is the work of Shadi Alzaqzouq, while Nikee Rider below is by the 'Andy Warhol of Marrakech' Hassan Hajjaj. Don't Panic I'm Islamic is published by London-based independent publishing house Saqi Books with support from Arts Council England. Saqi is a recipient of the British Book Industry Award for Diversity in Literature and its authors include Mahmoud Darwish, Adonis, Nawal El Saadawi, Samih al-Qasim, Mohamed Choukri and Ghazi Al Gosaibi. It's a book definitely worth a tweet or three. 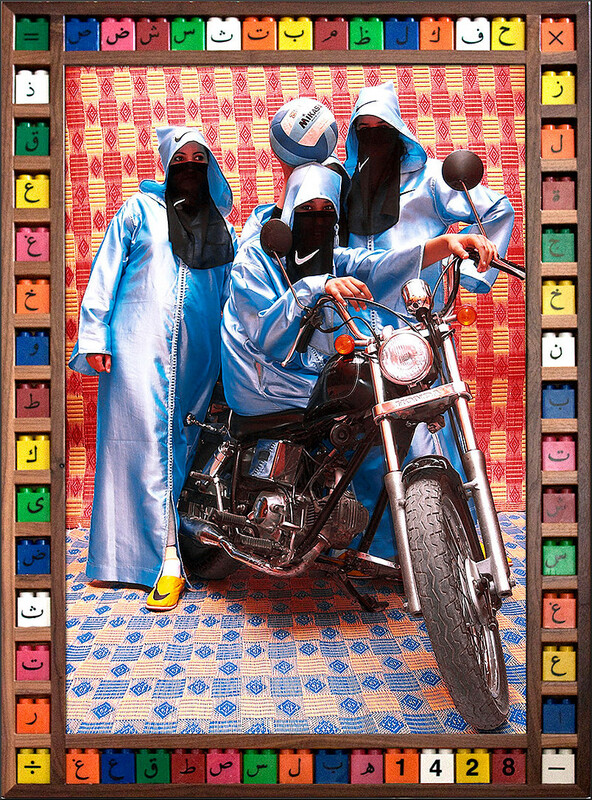 The exemplary work of Don't Panic I'm Islamic's editor Lynn Gaspard in turning some very diverse contributions into a coherent whole demands recognition. Lynn is also the publisher at Saqi Books.